Beautiful nineteenth- and early twentieth-century images of flowers, fruit, and inanimate, everyday objects are featured in this gallery. Some of the works are by native-born Southerners, while others are by artists who spent time in the South producing work that is identifiably Southern. 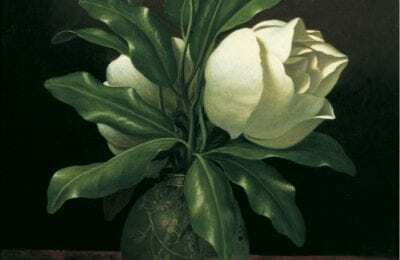 Martin Johnson Heade’s Two Magnolia Blossoms in a Glass Vase, painted late in his career when he lived in Saint Augustine, Florida, is just such a picture. 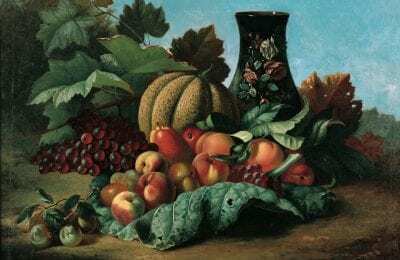 While it is clear that these paintings are related to themes of abundance and fruitfulness, the interest of regional painters in still life grew out of the work of the naturalists who roamed the South, recording in detail its plants and animals. Other artists showed more interest in demonstrating painterly technique, suggesting how objects might feel to the touch. 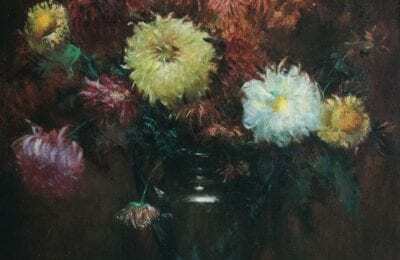 Isabel Cohen, whose vigorous brushwork and dazzling light effects are much like those of her teacher Elliott Daingerfield, has little in common with the tradition of natural science or the exacting realism of Heade.